Back in September I posted an admission: I love television. I love it among other things, of course, but I think one can love TV without being an antisocial cretin. There are just too many high-quality programs these days. Here's a revision of my previous list - some shows have fallen off my radar completely (The Office, Dexter), and some other new shows have caught me completely off-guard as being awesome (Sherlock, Todd & The Book of Pure Evil). If you love TV and there's an awesome show you think lines up with my tastes, let me know. I'd love to hear about it! Behind my crappy apartment there is a sound wall. Behind the sound wall there is Idylwyld Drive. Apparently sound walls are not very good at deflecting cars. That's what I found last Saturday when I walked out of my house. I sleep with my window open - I am surprised I didn't hear this. 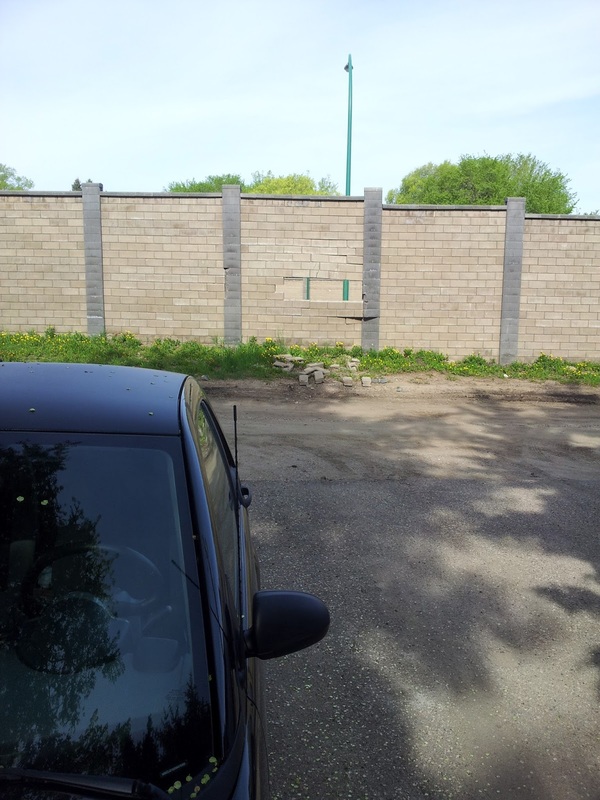 Nice big set of skid marks on Idylwyld to match, and the wall looks a lot worse on the other side.